Sharkwater Extinction opens in the U.S. on Feb. 1! Rob Stewart’s award-winning new film Sharkwater Extinction opens in select theaters across the United States on February 1st, with a red carpet premiere in Rob’s home base of Los Angeles on January 31st. It can also be ordered digitually through iTunes beginning February 1st. Click here to order it in Canada and click here to order it in the United States. 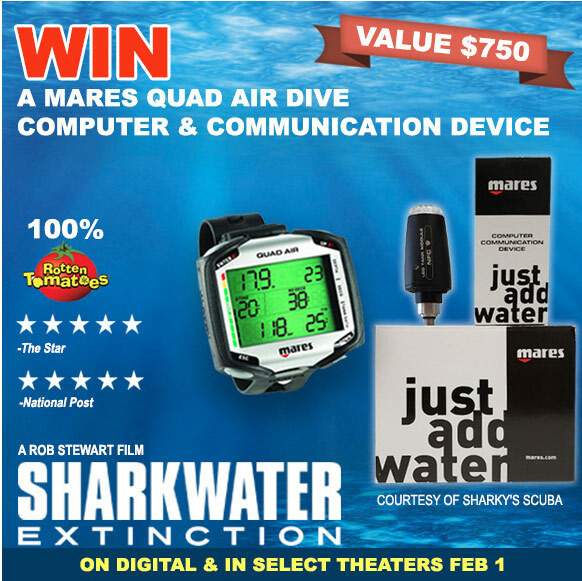 Click here to enter for a Sharkwater Extinction Prize Pack that includes Ball caps, T-shirt, book, blu-rays, pins and more!